A consortium of tech companies, including Etsy and Kickstarter, is suing the FCC over the repeal of net neutrality – making them only the latest tech companies to do so. The companies claim they will be directly harmed when the FCC net neutrality rollback goes into effect, which will likely happen by the end of April. It will likely take more than a year for these lawsuits to be decided, one way or the other, but the new FCC rules will go into effect in the interim. Even more tech companies are standing up to the FCC over its stance on net neutrality. Internet companies Etsy, Expa, Kickstarter, Automattic, Foursquare, and Shutterstock – all members of of a pro-net neutrality group called Coalition for Internet Openness – filed a lawsuit Monday to directly challenge the FCC’s decision to roll back net neutrality. The companies join 23 state attorneys general and a number of public interest groups who have also sued the FCC over the repeal of net neutrality. In this latest legal challenge, the tech companies claim they will be directly harmed by the FCC’s rules ending net neutrality. The worry is that internet service providers, or ISPs, will have the ability to charge a fee to companies like Etsy if they want users to be able to visit their website at faster speeds. Generally, net neutrality refers to the idea that ISPs should treat all internet traffic equally without blocking, slowing down, or prioritising any content. Etsy, an online marketplace for handcrafted and artisanal goods, is also filing its own suit against the FCC in the same court. The FCC rolled back net neutrality protections in December despite loud protests from supporters who organised both online and off. Regulations ending net neutrality will officially take effect at the end of April, as it is unlikely supporters will be able to corral enough votes in Congress to override the FCC’s decision before then. 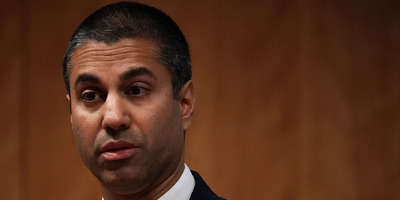 Legal experts told Business Insider litigation from lawsuits like this will probably take over a year – so even if a judge does decide against the FCC here, the United States will be without net neutrality in the meanwhile.